Aromas of bramble berries and liquorice. The interplay between smoky and fruity notes makes the noble treat a true taste adventure. The First Lady Cabernet Sauvignon appears in the gourmet’s glass with an intense and beautiful ruby red colour. The scent of blackberries and fresh red fruits fills the air, supported by liquorice and a smoky note. On the palate, the wood notes do not overpower the luscious aromas of dark cherries and raspberries. 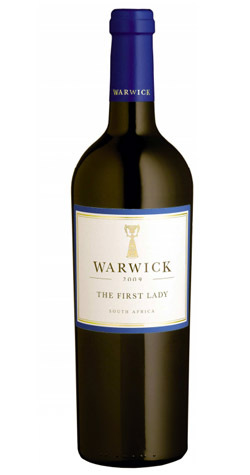 This makes the Warwick The First Lady Cabernet Sauvignon a soft red wine that is easy to drink and enjoy.